Software design principles on compiled programming languages tend to have one rule in common; Compiler errors over runtime errors. A religiously followed rule. It's a dogma (although based on legitimate reasons). You should always program in a way that most errors would be reported from the compiler and your logic tested by unit testing. Sometimes little things slip through though. 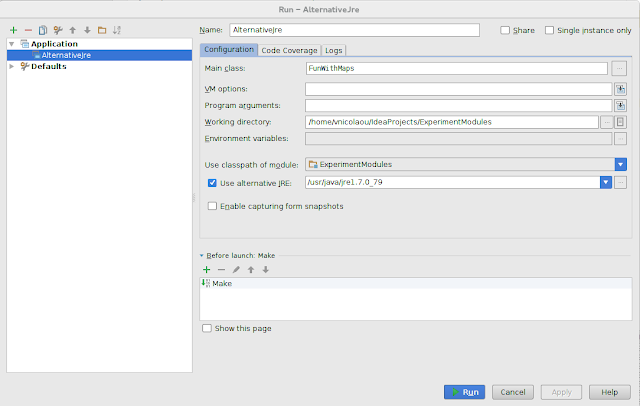 The following scenario describes an easy to do mistake in Java and highlights some good practice to avoid crashing that plane. the compile classpath didn't cause any problems. Consider that this scenario is what the continuous integration (CI) might have. to be caught. That scenario might cause you a late runtime crash on a live environment. Let's see the bytecode a bit and see if we get what we expect, i.e. a call to the keySet method that returns the KeySetView. 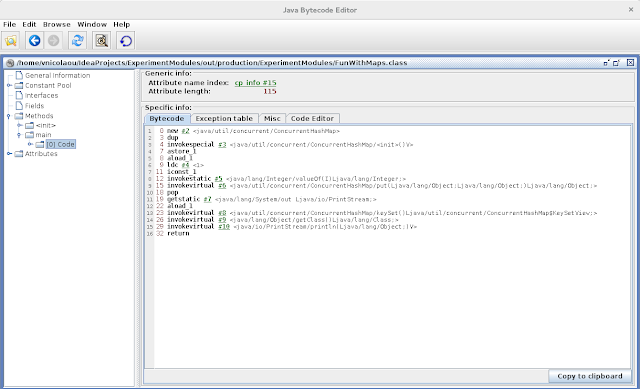 Open your generated class file with Java bytecode editor. On line 13, this is quite obvious. 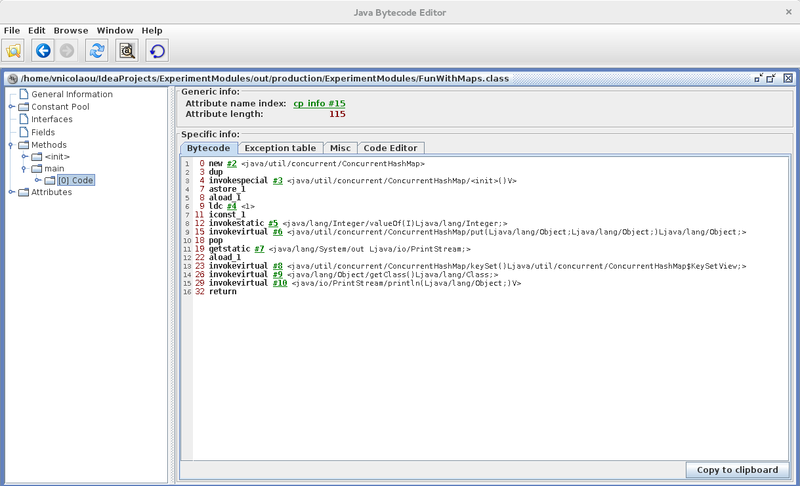 When running with java 7 you don't get any error until line 13 is executed by jvm and it tries to find that method, which doesn't exist on java 7. So how can we avoid this with a bit of good practice (although, having in compile time classpath an API of a different version that the one on runtime is the most obvious mistake that needs fixing). But we want our code to be as safe as possible and work even in situations where simple API changes won't affect it. Let's change the left hand side to the interface definition. The Map. 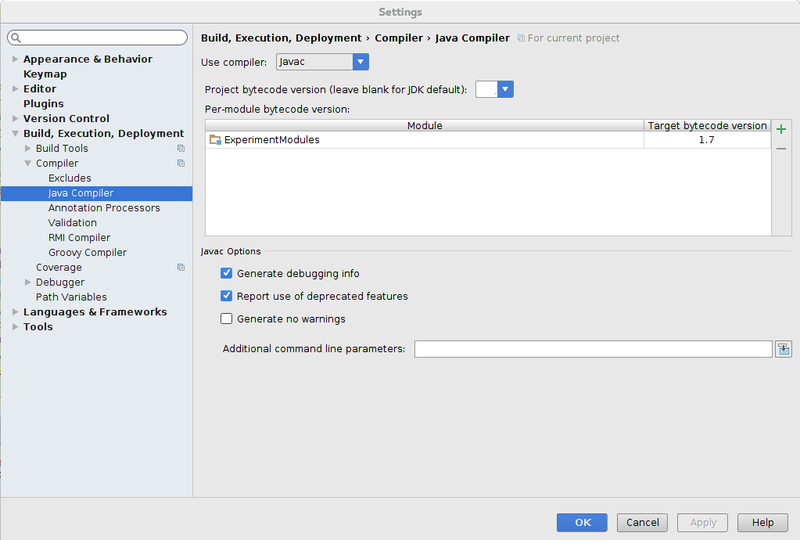 Before running it, make a build and see the bytecode. It's now a bit different. 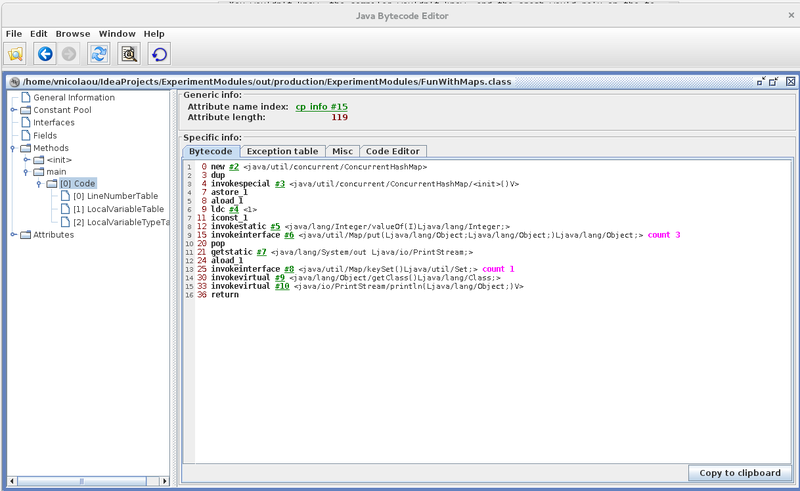 As expected, the compiler now generated the bytecode according to the interface visibility of the method. possible, especially if you are using an external API (which is pretty much always the case). Interfaces rarely change or at least they change less frequently from implementation code. 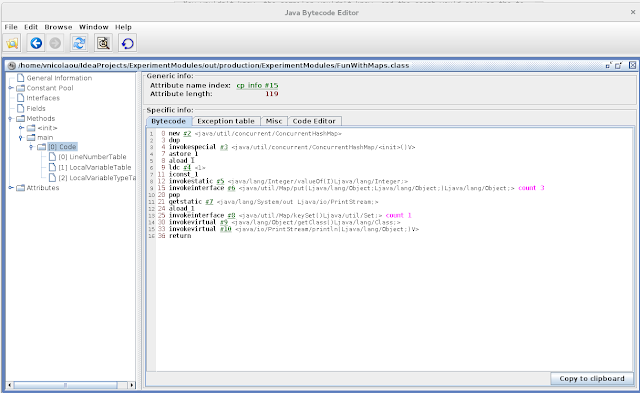 in the variable definition or their superclass (interface they implement).